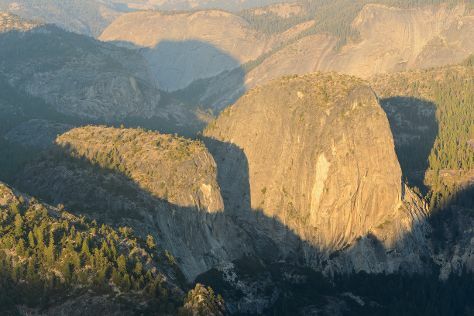 Kick off your visit on the 8th (Thu): don't miss a visit to Yosemite Village, admire the sheer force of Vernal Fall, then take in the dramatic natural features at Sentinel Dome, and finally explore the striking landscape at Glacier Point. On the 9th (Fri), you'll have a packed day of sightseeing: don't miss a visit to Olmsted Point, then tour the pleasant surroundings at Tuolumne Meadows, and then stroll through May Lake Trailhead. For photos, where to stay, reviews, and tourist information, refer to the Yosemite National Park journey maker site . Belem, Brazil to Yosemite National Park is an approximately 25-hour combination of flight and bus. You can also do a combination of flight and car; or do a combination of flight, bus, and taxi. Traveling from Belem to Yosemite National Park, you'll gain 5 hours due to the time zone difference. Expect much colder temperatures when traveling from Belem in November; daily highs in Yosemite National Park reach 14°C and lows reach -8°C. Wrap up your sightseeing on the 9th (Fri) early enough to drive to San Francisco. Start off your visit on the 10th (Sat): step off the mainland to explore Alcatraz Island, take in the waterfront at Fisherman's Wharf, and then buy something for everyone on your list at Ferry Building Marketplace. On your second day here, don't miss a visit to Lombard Street, then take in the views from Golden Gate Bridge, then stroll through Golden Gate Park, and finally admire the natural beauty at Japanese Tea Garden. 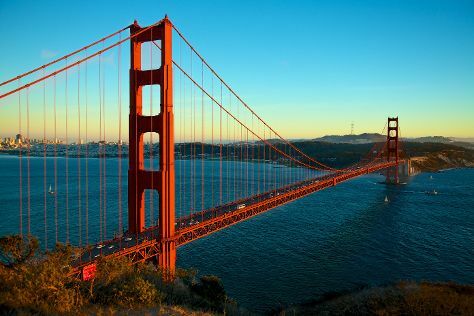 To find reviews, more things to do, photos, and other tourist information, read San Francisco trip planner . Drive from Yosemite National Park to San Francisco in 4 hours. Alternatively, you can take a bus; or do a combination of taxi, bus, flight, and subway. Traveling from Yosemite National Park in November, expect nights in San Francisco to be warmer, around 12°C, while days are a bit warmer, around 20°C. Wrap up your sightseeing on the 11th (Sun) early enough to travel back home.